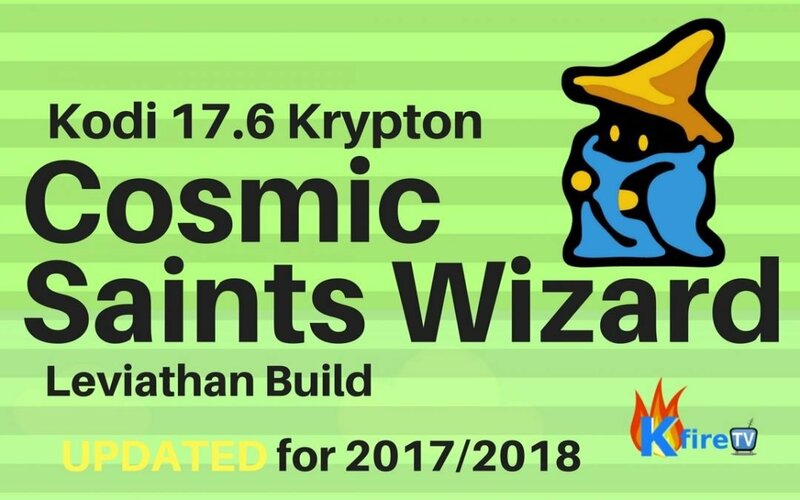 This tutorial shows you how to install Cosmic Saints Wizard in Kodi 17 (Krypton). This is the UPDATED guide for 2017 / 2018! Now select “Add-Ons“. Then select Apps From Unknown Sources, then select Yes to confirm the selection. Now press OK to finish naming the new source. Then press OK once more to completely finish adding the Source. Now wait for Cosmic Saints Wizard to appear on your screen. The Wizard should launch by itself. If it doesn’t find it and launch the Wizard from the Kodi homescreen (under “Add-Ons”). If you see a pop-up windows that says “Since this is your First Run of the Wizard..”, select “Continue“. WAIT for Kodi to download and install Cosmic Saints Leviathan Build for 2017 / 2017. 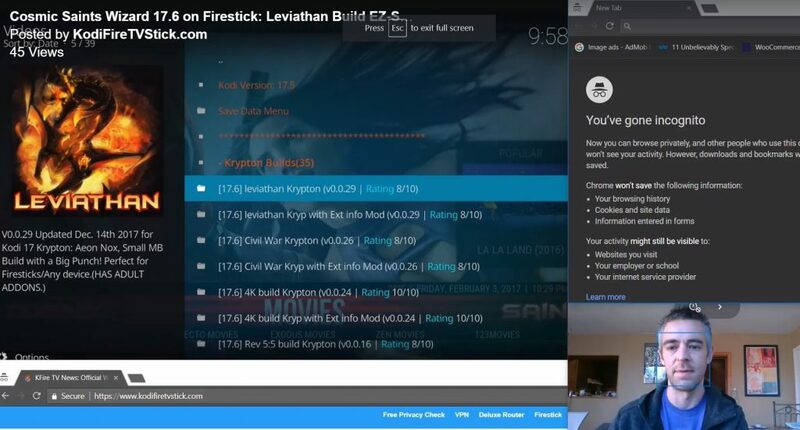 Enjoy Kodi Cosmic Saints builds! Watch some great movies, TV shows, and other great streams. 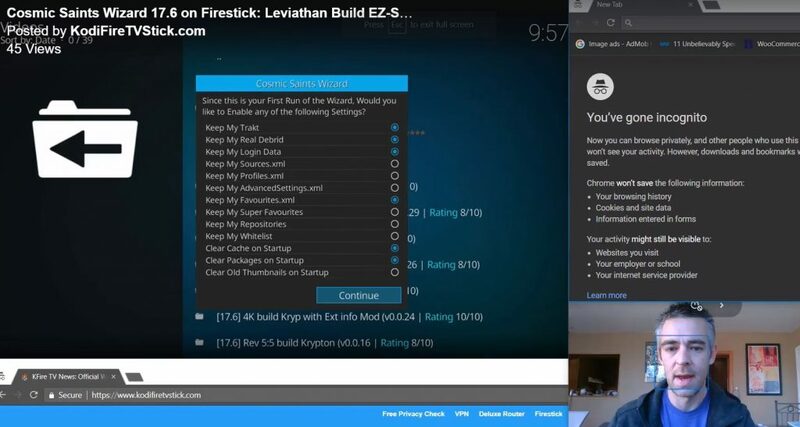 Leviathan Build: Download size is 95MB, containing 16103 Files needed to extract Kodi Leviathan Build. This build’s theme is red in color and has a super simple layout. Civil War Build: The Download size of Kodi Civil War Build is 120.8MB, with 17960 files to extract. This Build has the Kodi “Captain America: Civil War” theme all around it. 4k Build for Firestick & Fire TV: DL size of this build is (unknown)MB, and has (unknown) # of files. Ares Wizard is no longer available. 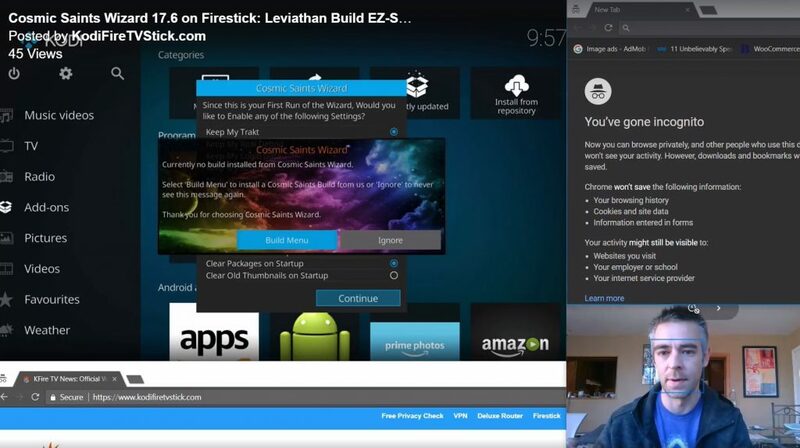 So if you want to install Cosmic Saints Leviathan build using Ares Wizard, you’re outta luck! You simply must use the Cosmic Saints Wizard (above). I have started running into a problem where when I use “Install from Zip file, it starts to run and hangs and it never loads nor does the second part of it ever come down so that you can complete the loading. I have had this happen on more than one firestick on different televisions. What can I do to get around this or solve it.